Designer Stephen Olmstead has published an interesting iWatch concept that actually looks like a regular watch, not some bizarre device from the future. My main focus here was to create a watch that… well… looks like a watch and not a rectangular screen bolted onto a watch band. Design, Hardware, and Software justification details can be viewed in the high resolution mockup that is attached. The watch is based on a modified Skagen classic leather wrist watch and features a camera lens in the watch face for FaceTime, a microphone for voice calls, Siri, a low power e-ink display to show the clock, a compass and the possibility to use the watch as a trigger for your iPhone’s camera. Olmstead also comes up with polyurethane bands in a variety of colours as an accessory. 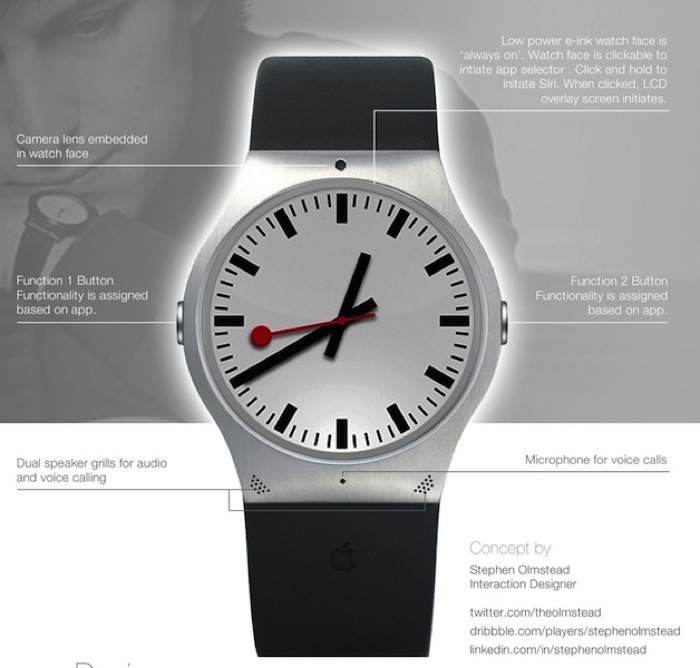 This concept does look the most ‘real’ out of previous iWatch concepts we’ve seen, such as this futuristic one, this leather strap concept, the Google Maps iWatch, this iPhone 5 chamfer-inspired design or ADR’s iWatch 2. 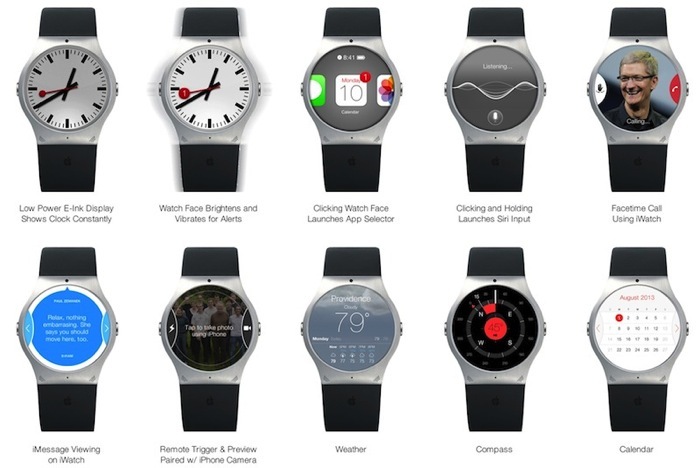 What do you think of Olmstead’s iWatch concept?